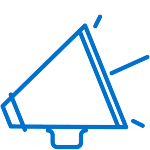 Our Outbound solutions, developed in partnership with our Clients, are designed to engage with customers throughout their journey with the brand. Regardless of the outbound campaign, we are dedicated to achieving our Client’s goals – reaching out to prospective customers, enhancing the power of a marketing campaign, or welcoming new customers to the brand! Enhancing the experience of our Clients’ customers can sometimes be as easy as making a welcome call. 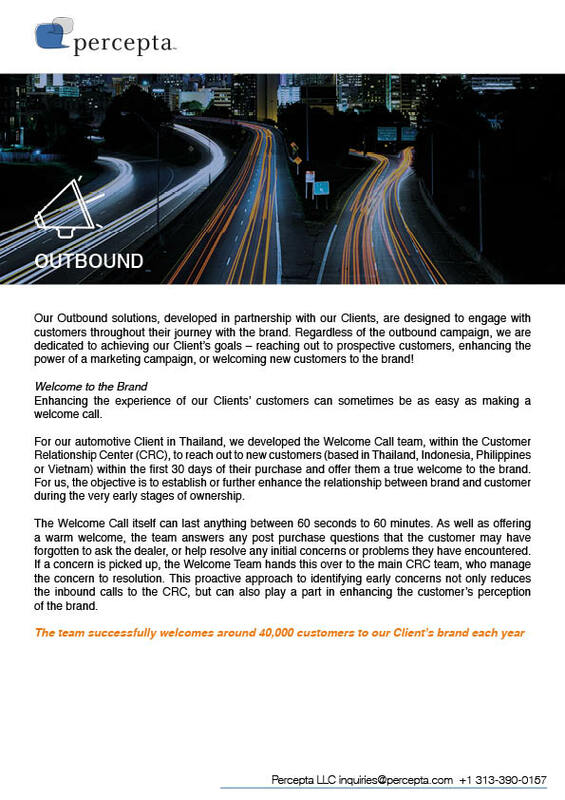 For our automotive Client in Thailand, we developed the Welcome Call team, within the Customer Relationship Center (CRC), to reach out to new customers (based in Thailand, Indonesia, Philippines or Vietnam) within the first 30 days of their purchase and offer them a true welcome to the brand. For us, the objective is to establish or further enhance the relationship between brand and customer during the very early stages of ownership. The Welcome Call itself can last anything between 60 seconds to 60 minutes. As well as offering a warm welcome, the team answers any post purchase questions that the customer may have forgotten to ask the dealer, or help resolve any initial concerns or problems they have encountered. If a concern is picked up, the Welcome Team hands this over to the main CRC team, who manage the concern to resolution. This proactive approach to identifying early concerns not only reduces the inbound calls to the CRC, but can also play a part in enhancing the customer’s perception of the brand.